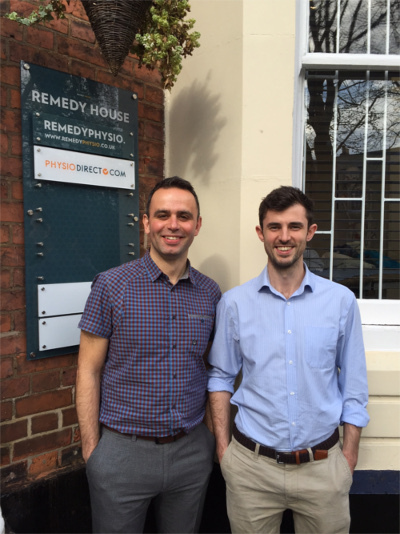 Another month has come and gone at Physio Direct, and in that time Remedy House have hosted another excellent course, which has kicked off the series of training opportunities focusing on the shoulder. For me this course was of particular interest, being taught by one of my old university tutors Dr Chris Littlewood. In the time since my graduation Dr Littlewood has worked extremely hard, first in gaining his PhD, and since then being involved in many research projects and publications on the shoulder. With all the work he’s done I was very keen learn what I could from him, and put it into practice in my own day-to-day work. When looking at the statistics around shoulder pain, you can understand why Dr Littlewood has spent so much of his time dedicated towards improving our knowledge and understanding of this topic. Shoulder pain is the 3rd most common (physio related) reason people to visit their GP, with generally poor outcomes for recovery (with 50% of people still having pain 6 months after seeing their GP). It should stand to reason then, that this is an area we need to understand better and treat more effectively. Language is important. Thats the first message Dr Littlewood wanted to get across; pointing out as our understanding of chronic shoulder pain progresses, so must our use of terminology. The interesting thing however, is that as we begin to scratch the surface of the complex nature of chronic shoulder pain, the harder it becomes to accurately describe what’s going on in simple terms and provide a ‘diagnosis’. 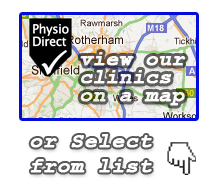 If you turned up to a physio appointment just to be told you have ‘mechanical shoulder pain without restriction’. You might justifiably think… “well duhhh, I could have told you that”. With that reaction in mind, the term Chris favours is ‘rotator cuff tendinopathy’. A description that’s more specific about what structures might be causing your pain, but hopefully wont be alarming in a way that older terms such as ‘subacromial impingement’ might be. The topic of discussion then moved onto how to assess the shoulder. I won’t go into detail too much with this, but in summary – physio’s overcomplicate shoulder assessment, with most of the fancy orthopaedic tests not really giving us much useful information. The information someone tells us, is often far more helpful than any ‘special’ test we can perform. Sigh… I’m about to talk about Exercise..
Now onto treatment. This was an area Chris was passionate about, pointing out that exercise was the most promising form of treatment for the shoulder, even compared to surgery! The above quote is one Dr Littlewood emphasised during the day. I think it’s a nice reminder of how important what we do outside of the physio session is. After all, if you didn’t brush your teeth for half a year and turned upto the dentists to find you need five fillings, would you be surprised to find your teeth hadn’t stayed perfect and pearly white? Some things take a bit of work and consistency. So why do we think differently when it comes to physiotherapy and exercises? More importantly, why do so many of us just not do them at all? One explanation might be how much we ask you to do. 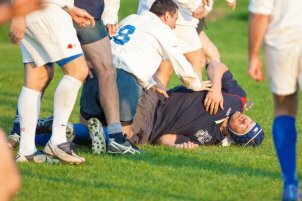 A more than common scenario people experience is going to see a physio, being given a long list of long and complicated exercises, and leaving the session feeling slightly confused and overwhelmed. It’s not surprising most people find it hard to stick to what they’re given. It may be refreshing to hear that Chris proposes just one simple exercise that’s specific and relevant to your problem. One strengthening exercise done consistently every day and progressed over time. Thats it. We need to be realistic. With chronic shoulder pain it is SO important to accept that things don’t change over night. Dr Littlewood’s work highlights this, showing that often with rotator cuff tendinopathy, it can take 12 weeks to see improvements. Often people go to a few sessions over a 4-6 week period, but stop persevering because thing just don’t seem to be changing. The message here.. keep going! Isn’t this just an excuse they use in the NHS to get you in and out in 15 minutes?! Dr Littlewood feels the key to keeping people onboard is all down to quality of care. Giving someone the time and attention they need, along with excellent support, really makes all the difference. Dr Littlewood was supportive of the private physiotherapy world, feeling that it lends itself to treating long term conditions such as rotator cuff tendinopathies. This is mainly as people have to actively make the choice to come and see a physio in the first place, rather than being sent by their GP, and then have to choose wether or not to come back. Having this ownership of your pain is key. The ability to drop in and out for a session here and there gives you further control over how you manage your pain, and can be reassuring in the long term knowing there’s always someone there you can touch base with. All in all I found this course a refreshing take on treating shoulder pain. Its nice to know the cutting edge science doesn’t always mean mind boggling fancy treatment, but instead encourages you to keep things simple. The simple stuff, done well and consistently, is often all we need.